Living Sq. Ft. : 2385 s.f. Total Sq. Ft. : 3520 s.f. 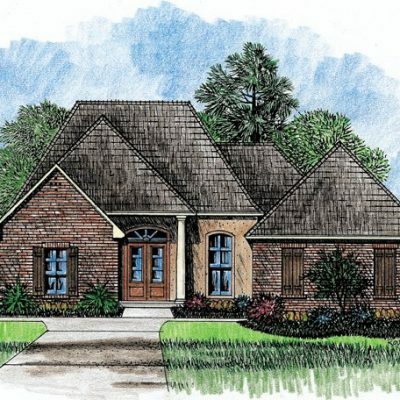 A Southern Louisiana house plan with Acadian inspiration, the Miranda is a delight to live in. You approach the house and step onto the front porch. 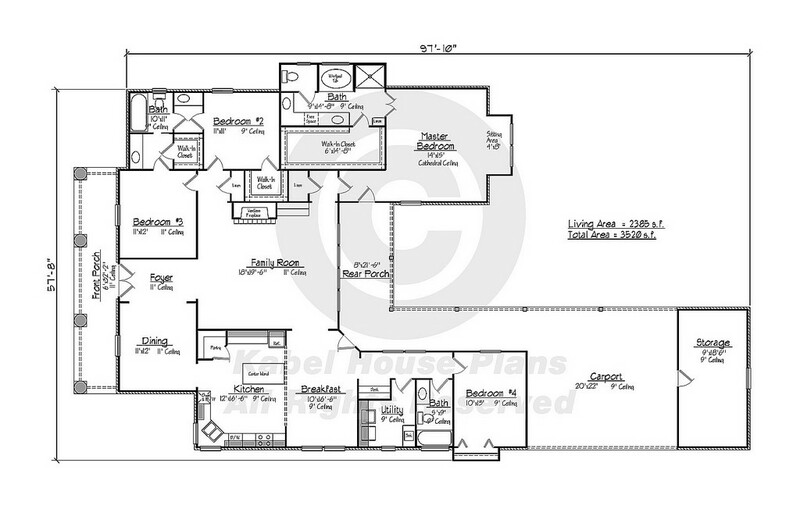 From here, you enter through the main door into your Foyer which opens up with 11’ ceilings and the family room. Ahead and to the right, you will see the formal dining room. 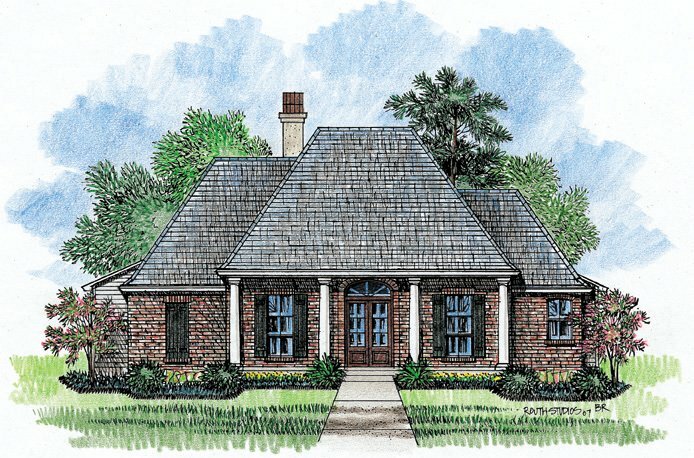 You walk to the kitchen to drop of your mail on the center island and go wash your hands at the corner sink as you peer out the front and side of your property. 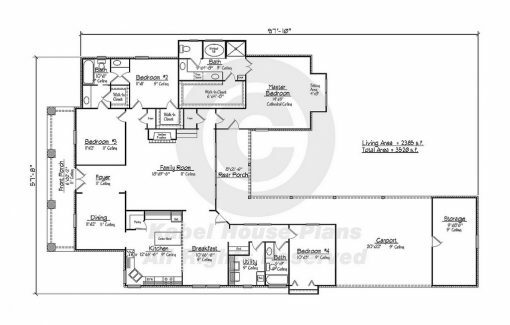 Then, to the master bedroom with the tall cathedral ceiling and your own private sitting area. You freshen up in your master bath and walk into your closet to change into something a bit more comfortable. Afterward, you retreat back to your family room and put your feet up as you watch the TV you just had installed over the fireplace. To this, you say, “I am Home.” That is your normal day when you arrive home from work. You will also be pleased to know there are three other bedrooms with access to baths and there own vanities. You have a 2 car carport and a storage area to keep all your toys. Enjoy!